There are three reasons I selected above the title to lead off the second installment in my Ultima Online journals. The foremost reason is because my memories of UO have become muddled over the years. I can no longer accurately recollect specific events in UO. I guess it is fortunate that I am putting these tales down on paper now, so at least I will retain something. The second reason for the title is because as I mentioned in the previous journal, the Britian Mining Camp community was fading away. It might not seem important, but it was what people imagined massive multiplayer games would be like. It is ironic that in those early days of UO, the developers hit the mark so effortlessly, yet 7 years later they laboring to recapture the same kind of spirit and wonder with EQ Clones or Player Vs Player extravaganzas. Which leads me to the final meaning of the title. Massively multiplayer games (MMOGs) are like a magician's act. The first time you see the illusions they are quite impressive, but repeated performances reveal the mundane nature of the tricks; simple slight of hand and nimble assistants. I have played just about every MMOG released since UO, and none them completely delivered on the promise of having an alter ego living in an online world as well as UO. For the sake of intellectual honesty, I admit that part of the problem lies with me. I had spent much of 1996 and 1997 anticipating UO, so when it finally arrived I was geared up to immerse myself in the game world. Now I don't bother to put forth that extra effort to make the game come alive like it did for me in UO. A small part of me still hopes that eventually a game will impress me enough that I will enjoy it the same way I did UO. However, the truth is it is unlikely to happen because it is hard to let yourself be entertained when you've already seen the entire bag of tricks countless times. 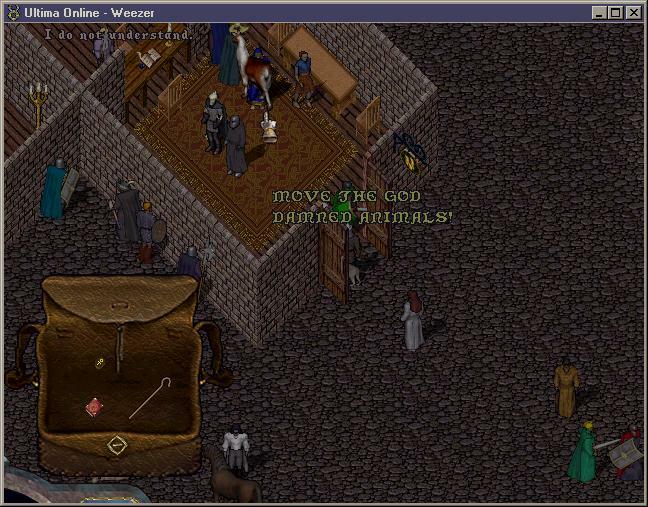 I ended the first of my Ultima Chronicles around Dec of '97. I need to backtrack a bit, because in November of '97 I started a secondary character. I rolled up a mage named Weezer. He was a cookie cutter spell caster with 50 skill points in Magery and 50 points in Intelligence (INT). I also opted for 49 skill in hiding for escapes and 1 point in alchemy for the extra reagents. I made this character for the purpose of experimenting with spells. I never had any intention of sticking with him for the long haul. However, as fate would have it, Weezer stuck around for awhile and eventually advanced to Adept mage. In the years to come, I would even use him for Order vs Chaos battles. I have a feeling many UO characters were born on a lark and then developed into the regular rotation. 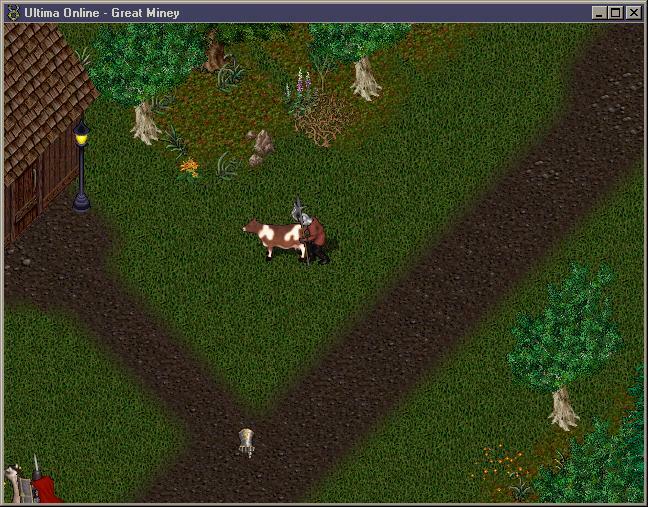 I'll preface a bit with some quick background on magery during the early days of Ultima Online. I think I touched on the topic a bit in my first journal, but probably not enough. From the first day of UO's release until late summer of '98, magic was the dominant force in Britannia. Not only was it extremely lethal, but it was also extremely handy. Packed into the skill of magery were the abilities to teleport any where in the world, unlock doors, turn invisible, kill in a variety of ways, protect yourself from magic attacks, and summon pets. To get all those abilities without magery you would have to train a minimum of 5 different skills. Needless to say Britannia was festering with finger waggling, wizard hat wearing, munchkins.